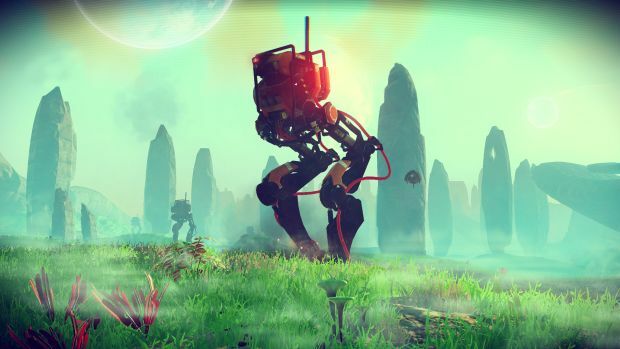 What do you do in the highly anticipated, upcoming No Man’s Sky, exactly? It sounds like there are four pillars to the gameplay- explore, fight, trade, and survive. Developers Hello Games have promised us a trailer for each of these four components in the lead up to the game’s release, so players have a better idea what to expect- and after having shown us a trailer dedicated to exploration in the game, it looks like they are ready to show us some combat. What we see certainly looks very cool, though I imagine a lot of it might be contingent on the player happening upon other players, and attacking, or being attacked by, them. Still, for the more aggressive ones of our number, it is good to know that the game manages to provide some recourse. No Man’s Sky is due out on the PlayStation 4 and on PC on August 9. Stay tuned to GamingBolt for more information and coverage, and be sure to watch the new trailer for yourself below.